In May and June 2018 the Russian edition of Dynastic Rule. 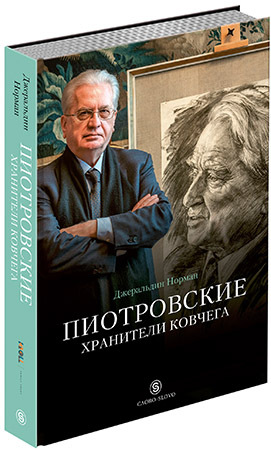 Mikhail Piotrovsky and the Hermitage, the new book by Geraldine Norman, a well-known British journalist and the Chief Executive of the Hermitage Foundation UK was presented at several venues across Moscow and St. Petersburg. While Russian – British relations remain in the ditch and hysteria sometimes goes over the top, the book has become a clear manifestation that cultural diplomacy is, in fact, stronger than one might think, and the cultural bridges are the last to burn. In November 2016 the book was published in the UK under the original title Dynastic Rule (the Russian title is “Keepers of the Arc”), and successfully presented in the Russian Embassy in London in presence of the Russian Ambassador Alexander Yakovenko and Mikhail Piotrovsky. It is through his biography and the biography of his father, Boris Borisovich Piotrovsky (who served as the Hermitage director from 1964 until his death in 1990) that the author manages to tell the history of the museum at the end of the 20 and 21 century. A tribute to two men and a unique the book is a stunningly illustrated account of a true international treasure, now available in both languages. It’s important to emphasize that the author has been working with the Hermitage for more than two decades and in 2010 Mrs. Geraldine Norman was awarded the Order of the British Empire for serving UK/Russia relations in culture and fine arts. Our observer Elena Rubinova, who also happened to be a translator of the book, met Mrs. Geraldine Norman during her book presentations in Moscow and found out how she managed to match the “British viewpoint” with her love for Russia and the Hermitage, how difficult and long her writing project was and how the British literary tradition influenced the genre of the book. Every potential reader would have a question why an English author had become the biographer of the Hermitage. And more than that - why didn’t you stop with the first book “The Biography of the Hermitage” published in Russian by Slovo/Слово 11 years ago and proceeded with the second one that is now being released? Did you take it as some kind of a mission to write the second book? The second book is essentially a biography of Mikhail Borisovich Piotrovsky. In some way it came as a result of writing the first book and becoming fascinated by the Hermitage and how it was developing over the period I knew it. I naturally became fascinated with Piotrovsky and wanted to know more about who he was, his childhood and youth and how that was relevant to what he has achieved for the Hermitage. Generally, I wanted to know what makes him tick. At the time when I decided to write the second book, in 2011, I was giving up running the Hermitage Foundation – which I had founded in 2003 – and handing over my job to a new director. But I wanted to continue to be involved with the Hermitage because I was still fascinated by it. So I said to Mikhail Borisovich: “Would you mind if I wrote your biography? Would you collaborate? “. He thought for a while and said: “OK. Let’s go ahead. I will work with you as long as you don’t embarrass me politically.”. He knew I was not going to get into political area of the story, particularly because I would not understand it fully – you have to know a whole lot about the Kremlin politics to write about the political side of the story. I think it's a genre to itself. It started out to be a biography of Mikhail Piotrovsky and then I realized that I couldn’t do it without writing about his father, a great scholar and a great influence on Mikhail. The wonderful thing about the two of them was that between them they had run the museum for 50 years and the result of the two Piotrovskys’ directorship of the museum has been extraordinary. So the book is two biographies and the story of the museum’s development in the late Soviet and post-Soviet years. How much were you influenced by biographical writing in the British literary tradition which is very rich? I don’t think I even thought about literary tradition or influences. I knew that any biography would start from childhood and then move on to the subject’s great achievements, That's the normal scheme, and that's what I did. Obviously I had to weave the father and the son’s stories together but it was very straight forward, I was not trying to prove anything. If I had a special aim it was trying to discover who Mikhail Borisovich was below his sophisticated and highly intelligent surface. And that was a fascinating voyage of discovery. For an English author it would be strange to write differently. I don’t think that I consciously changed the book, but subconsciously I followed the course of events. Initially when I started the book I thought I would do it a lot faster, but in 2012 I had to come back to my job with the UK Friends of the Hermitage and naturally it took me a lot longer to write because I had to combine it with my other duties. But at the same time it was rather good thing because I was in touch with what was happening at the Hermitage. For instance, the ook finishes with 250th anniversary party in 2014. I was at that party and watched what happened. The same could be said for many events in those years. Is “Dynastic rule” a book written by a journalist who's looking at the museum from outside or is it more of a book written by a participant and a witness that you were in the past 20 years? How do these two roles combine in the book? I suppose I could not write a book as an independent journalist watching from outside because I was watching from the inside. What I tried to do was to write as truthfully as I could – truth may be seen from the distance or close to. So I was seeing it close to and trying to get out of it what really mattered for the story and what was developing. Because I was involved and watching the museum becoming greater and greater, it was automatic that I focused on positive things and often it was correlating with the events happening in my presence. Was it important for you to portray Piotrovsky in the international context, so that his role and the true scale of his personality is more visible for a broad audience? I think it was always interesting to me that he was operating so internationally. At the very beginning of his directorship UNESCO was helping the Hermitage – this was really very early - the beginning of 90-ies. 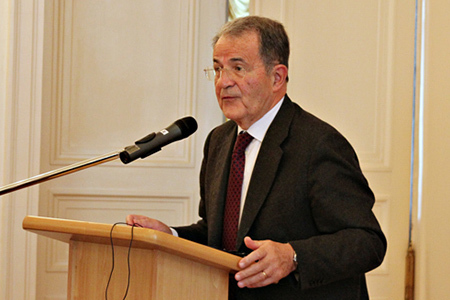 He realised that the most important assistance for the Hermitage was going to be an International Advisory Board. 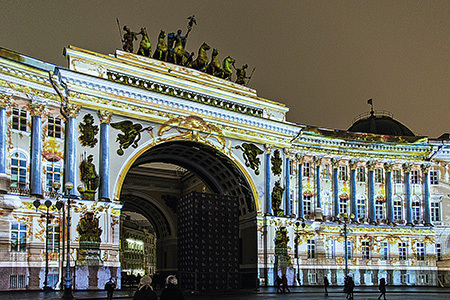 It comprises all the main museum directors – the Director of the National Gallery (Wash.DC), the Director of the National Gallery (London), the Uffizi, the Louvre and they all still come to St Petersburg once a year in August. I think that they really enjoy getting together and sharing their problems – but Piotrovsky always has specific things he wants to ask them and show them. It has run since 1993 and continues today. It has been extremely important that from the beginning that he has been tied into the top of the international museum world. One of my goals was to make him better known because everyone in the West has been to the Louvre, the Met in NY or the National Gallery in London, but the Hermitage even among museum curators is less visited. It seemed to me important that he was doing so many good things – in many ways even better than what we are doing – but it wasn’t recognized. So it was my desire and intention to advertise what he was doing to make his role and his image public. What has it demanded from you as an author – besides devotion to the subject? What was the difficult side? The difficult side – but no less exciting – was digging out the past of Mikhail Borisovich – what he was doing in the days of being an Arabist – the side of his life I did not know about. That was pure research and I did it the best I could. What were the main sources of information for the book? Have you used a lot of unique resources? 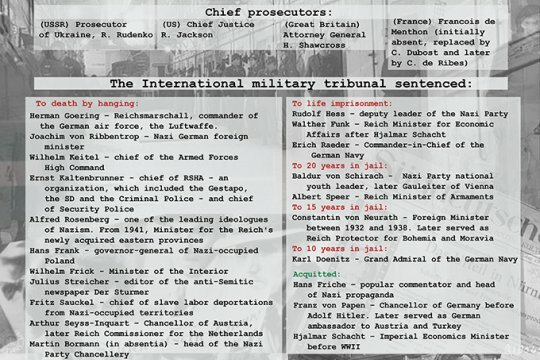 Who were your interlocutors other than Piotrovsky's family members? Of course, interviews with Piotrovsky were the main sources of information. I would do a long interview with Piotrovsky and then I would write a chapter, then take the chapter back to him so that he could criticize and add to it. Then I would do another long interview and do another chapter. And of course he gave me his diaries and travel logs by Ivan Steblin- Kamensky, his close friend and colleague from university days. Those were very important sources that had not been published before. Also I would mention a monograph about Boris Borisovich and family archives. Luckily, Piotrovsky’s cousin, Yuri Piotrivsky, works in the Hermitage and I could talk to him and get the information first hand. Piotrovsky was, and still is, involved in very many things outside the Hermitage. So I had to meet many different people to grasp those aspects of his activities and personality. I met his former colleagues from the Yemeni expedition, including Alexander Sedov, who is now the Director of the Oriental Museum in Moscow, and his colleagues from the European University in St Petersburg, of which he is still chairman. What has become a revelation for you in the process of the book writing? What surprised and impressed me most was the extraordinary impact of his small ‘Dictionary of Islam’. At the time the dictionary of Islam was published, i.e. in 1983, it was translated into the many languages of the Moslem regions of the Soviet Union. It was fascinating for me that in the USSR where religion and, Islam in particular, was severely repressed, Piotrovsky was serving the Islamic population explaining their religion to them. It was phenomenal – his knowledge and understanding of Islam and the social mission that he undertook writing the dictionary. He came to know Christianity which is his own tradition through Islam because had understood the revelations of Moslem religion and later found them in Christianity. I speak about it in the book. I know you went to the archaeological site of Pengikent in Tajikistan, an archaeological base of the Hermitage for decades and where Piotrovsky, as a young scientist, spent quite a few seasons at the dig. What has this personal experience contributed to the book? I felt that it was necessary to explore some of the places he had been to. So, I wanted to go to Yemen, but it was too dangerous already and Piotrovsky absolutely banned it. But I went to Armenia, to Yerevan, which was very significant to see the world where he had grown up and how it was going today – I got the feel of the place and that was the main thing. His cousin kindly looked after me. He dug out old family archives and told me about mulberry tree that he loved in their garden. I also went to Karmir Blur which is still an archaeological dig and the museum which contains most of what Boris Borisovich Piotrovsky excavated there. I also went to Penjikent in Tajikistan where there is still an annual Hermitage archaeological expedition. For more than 40 years Hermitage has had a season there – the dig is now run by Pavel Lurie and new generations of archaeologists are growing up there. I suppose this experience makes my account more real – you can read about somebody being somewhere but you cannot get the feel of it unless you have experienced it yourself. So I hope it gives extra strength and insight to the narrative. The English version was published in 2017 and now, a year after the Russian version is released. Both English and Russian versions were generously supported by the Kroll Family Trust. Daniel Kroll is the director of the Israeli Friends of the Hermitage, so he has a special interest in the story of Piotrovsky and the Hermitage. It was very kind of the Israeli Friends to get behind my book. As for the Russian publisher, it was straightforward because Slovo published my first book back in 2006, so I was really pleased when they agreed to go ahead with the “Dynastic Rule”. What would you wish to a potential Russian reader? To be proud of their own museum and be proud how the two directors served it. The two Piotrovsky's both laid an accent on scholarship as the most important thing about a museum. They are an exceptionally good example for the international museum community. 692: 30 seconds to mars. “That was a fascinating voyage of discovery...”6 July 2018: “That was a fascinating voyage of discovery...”! лучшие комедии. “That was a fascinating voyage of discovery...”.